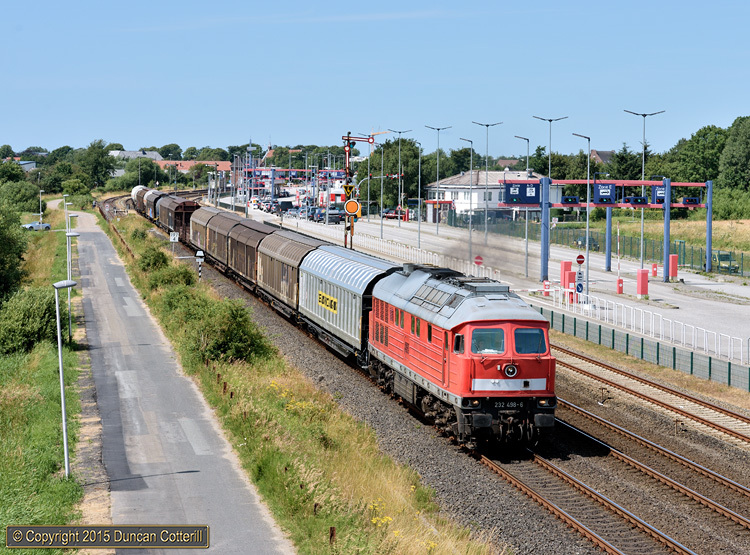 232.498 got southbound EZ47409 underway after a brief stop at Niebüll on the afternoon of 15 July 2015. Scheduling the freights wasn't straightforward as there were very few places that a passenger train could overtake and several single track sections to be negotiated. In common with most southbound freights, EZ47409 had been held at Niebüll and then released hot on the heels of a southbound passenger.